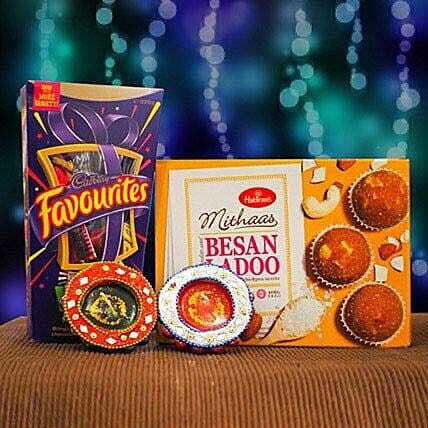 The sweet and delicious taste of Besan Ke Laddoo, the mouth-melting sensation of Cadbury Favorites and two colorful traditional diyas are the constituents of this amazing Diwali gift hamper that would add more excitement to the celebration. Send it to your loved ones now and double their fun! Store your sweets and chocolates in the refrigerator.